The editors of ConventionSouth Magazine have named The King and Prince Beach & Golf Resort one of the top 18 golf resorts for groups in the South! Only 18 golf resorts from across the South and the Caribbean made the list and we are happy to be part of such a prestigious list. Resorts were nominated by readers and then selected by the editors of the magazine. 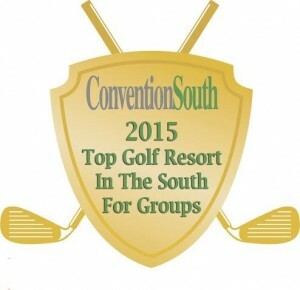 ConventionSouth’s editorial team requested nominations for golf resorts throughout the South and the Caribbean Seas Region during the month of September and selected 18 of the best resorts for both golfing and meetings on several factors, including golf course accolades and golf club amenities for groups, affordability , accessibility, and the amount of on-site meeting venues and accommodations for groups. Eighteen were selected as a nod to the typical 18 holes available on a golf course. The November Issue of ConventionSouth will share this list with meeting planners from across the country that book meeting sites in the South. To learn more about meetings at The King and Prince, visit our meetings page. You can also learn more about our award winning golf course here. This entry was posted on Thursday, October 30th, 2014 at 6:20 pm	and is filed under Meetings and Events. You can follow any responses to this entry through the RSS 2.0 feed. Responses are currently closed, but you can trackback from your own site.